Now that I’ve completed three posts on The Management Team over the last three MBA Mondays, it’s time for four or five guest posts on this topic. The first one is from Matt Blumberg, CEO of our portfolio company Return Path. I’ve been on Matt’s board for over a decade and I’ve watched him develop into one of the finest managers I’ve had the pleasure to work with. Here are Matt’s thoughts on this topic. When Return Path reached 100 employees a few years back, I had a dinner with my Board one night at which they basically told me, “Management teams never scale intact as you grow the business. Someone always breaks.” I’m sure they were right based on their own experience; I, of course, took this as a challenge. 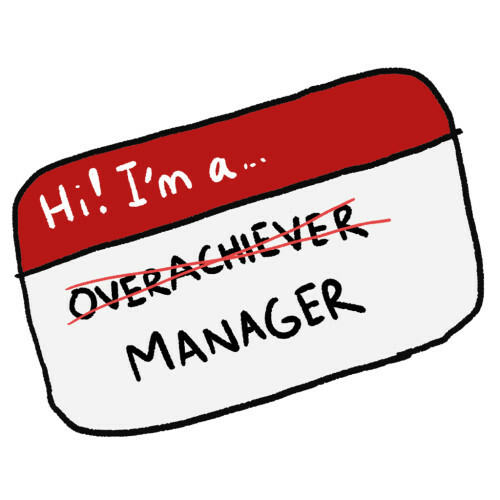 And ever since then, my senior management team and I have become obsessed with scaling ourselves as managers. So far, so good. We are over 300 employees now and rapidly headed to 400 in the coming year, and the core senior management team is still in place and doing well. Below are five reasons why that’s the case. 1. We appreciate the criticality of excellent management and recognize that it is a completely different skill set from everything else we have learned in our careers. This is like Step 1 in a typical “12-step program.” First, admit you have a problem. If you put together (a) management is important, (b) management is a different skill set, and (c) you might not be great at it, with the standard (d) you are an overachiever who likes to excel in everything, then you are setting the stage for yourself to learn and work hard at improving at management as a practice, which is the next item on the list. 2. We consistently work at improving our management skills. We have a strong culture of 360 feedback, development plans, coaching, and post mortems on major incidents, both as individuals and as a senior team. Most of us have engaged on and off over the years with an executive coach, for the most part Marc Maltz from Triad Consulting. In fact, the team holds each other accountable for individual performance against our development plans at our quarterly offsites. But learning on the inside is only part of the process. 3. We learn from the successes and failures of others whenever possible. My team regularly engages as individuals in rigorous external benchmarking to understand how peers at other companies – preferably ones either like us or larger – operate. We methodically pick benchmarking candidates. We ask for their time and get on their calendars. We share knowledge and best practices back with them. We pay this forward to smaller companies when they ask us for help. And we incorporate the relevant learnings back into our own day to day work. 4. We build the strongest possible second-level management bench we can to make sure we have a broad base of leadership and management in the company that complements our own skills. A while back I wrote about the Peter Principle, Applied to Management that it’s quite easy to accumulate mediocre managers over the years because you feel like you have to promote your top performers into roles that are viewed as higher profile, are probably higher comp – and for which they may be completely unprepared and unsuited. Angela Baldonero, my SVP People, and I have done a lot here to ensure that we are preparing people for management and leadership roles, and pushing them as much as we push ourselves. We have developed and executed comprehensive Management Training and Leadership Development programs in conjunction with Mark Frein at Refinery Leadership Partners. Make no mistake about it – this is a huge investment of time and money. But it’s well worth it. Training someone who knows your business well and knows his job well how to be a great manager is worth 100x the expense of the training relative to having an employee blow up and needing to replace them from the outside. 5. We are hawkish about hiring in from the outside. Sometimes you have to bolster your team, or your second-level team. Expanding companies require more executives and managers, even if everyone on the team is scaling well. But there are significant perils with hiring in from the outside, which I’ve written about twice with the same metaphor (sometimes I forget what I have posted in the past) – Like an Organ Transplant and Rejected by the Body. You get the idea. Your culture is important. Your people are important. New managers at any level instantly become stewards of both. If they are failing as managers, then they need to leave. Now. I’m sure there are other things we do to scale ourselves as a management team – and more than that, I’m sure there are many things we could and should be doing but aren’t. But so far, these things have been the mainstays of happily (they would agree) proving our Board wrong and remaining intact as a team as the business grows. At the top is the sales funnel – representing your clients. One tier down is your front-line staff – supporting your clients. Below that is back office, HR, IT finance – pretty much everyone you would swap out before you would swap out your client base. Then there is the management team – sole role to support the rest. Finally there are the founders – their role is to demote themselves further. Interesting that Demote sounds like demut (german for humility) and humility like humus comes from earthliness. Bottom line – if management have their heads in the clouds rather than being well grounded they aren’t in touch with the roots that feed nourishment. This article was originally written by Matt Blumberg and Fred Wilson on January 23, 2012 here.